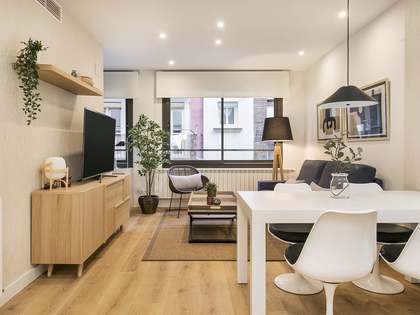 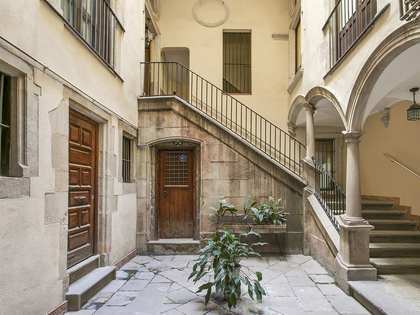 Wonderful renovated apartment with modernist elements and balconies in a recently renovated stately building in El Born. 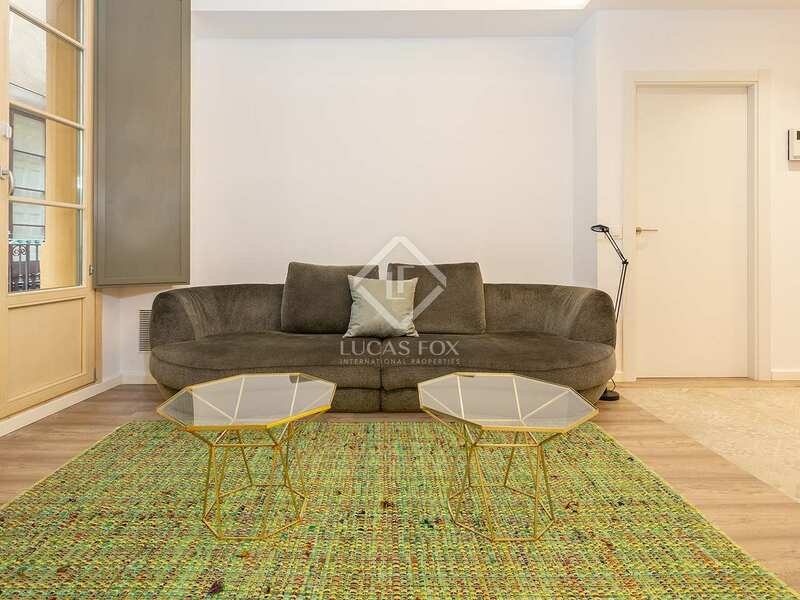 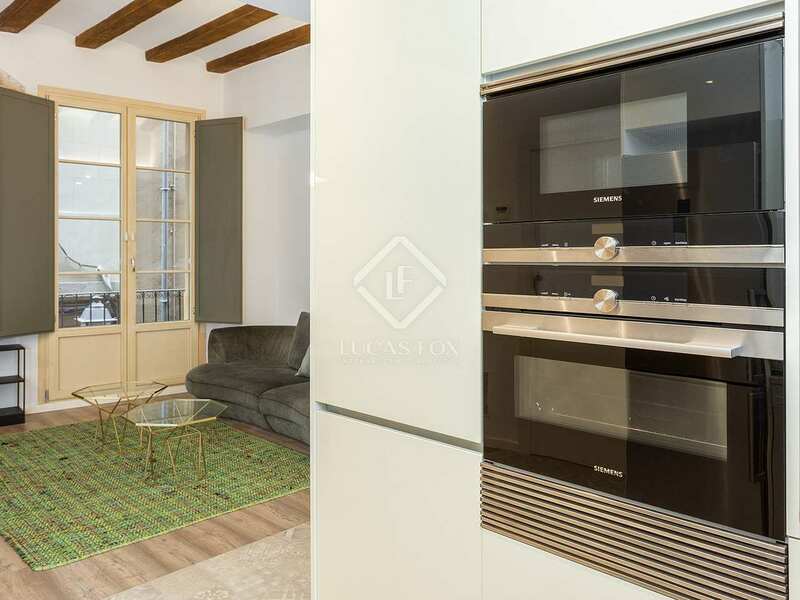 This fantastic apartment of 75 m², which is modern and bright, is newly renovated and comes fully furnished, equipped and decorated. 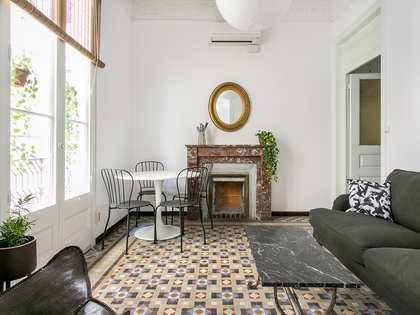 It has beautiful light wood floors, mosaic floor tiles, elegant brick walls, high ceilings and restored period elements, creating spacious rooms full of charm and personality. 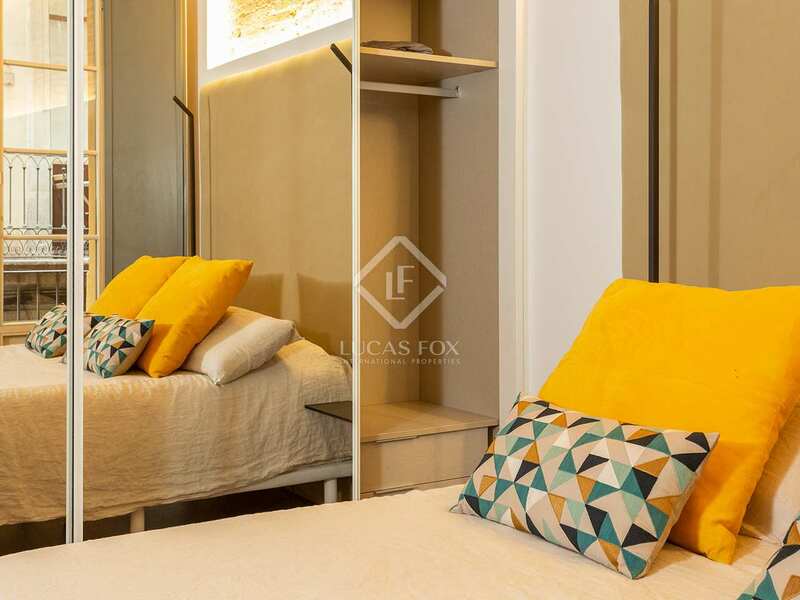 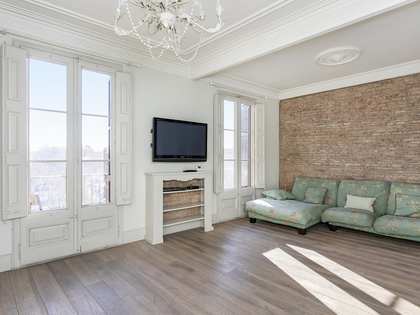 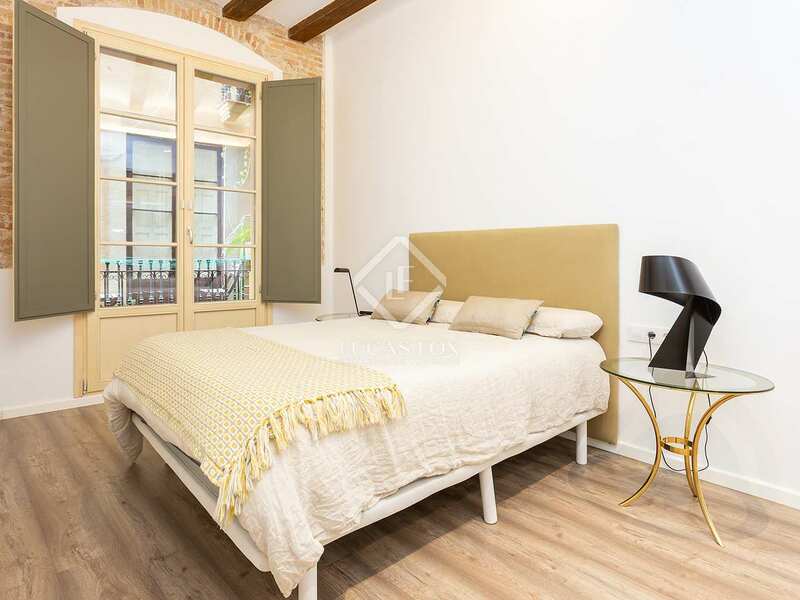 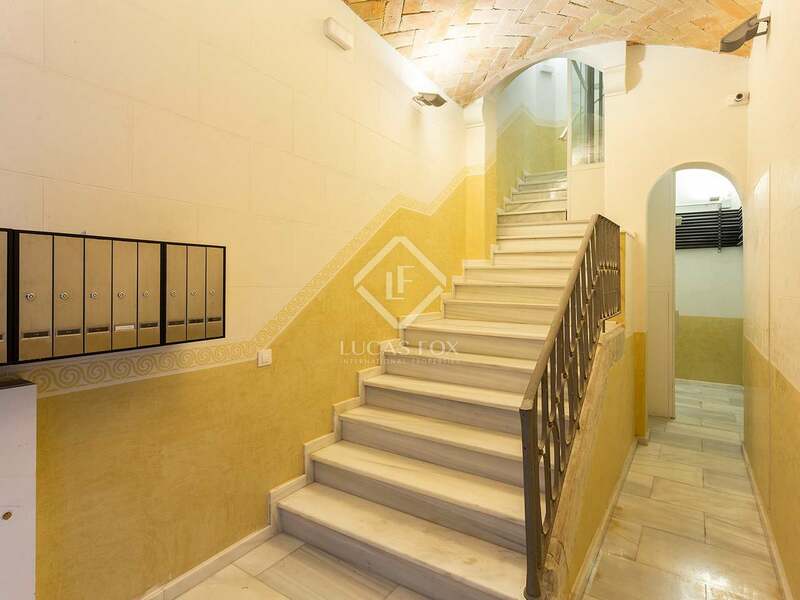 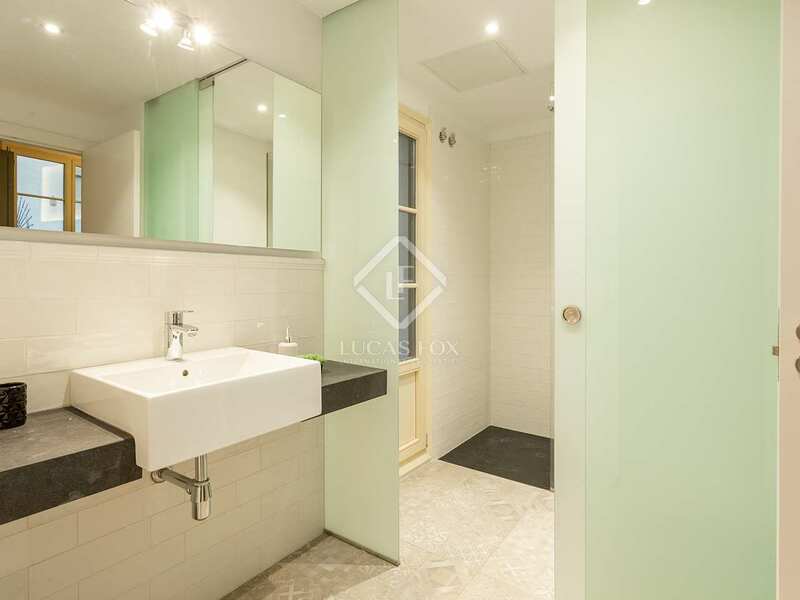 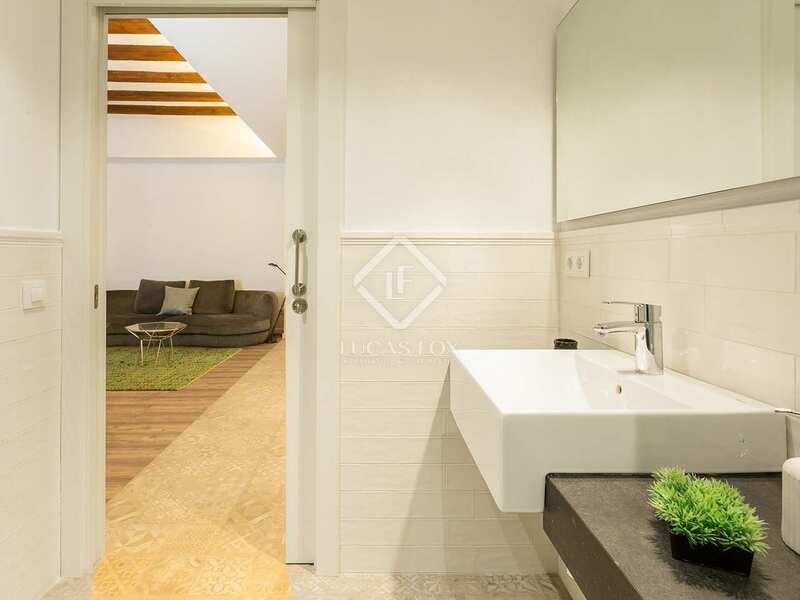 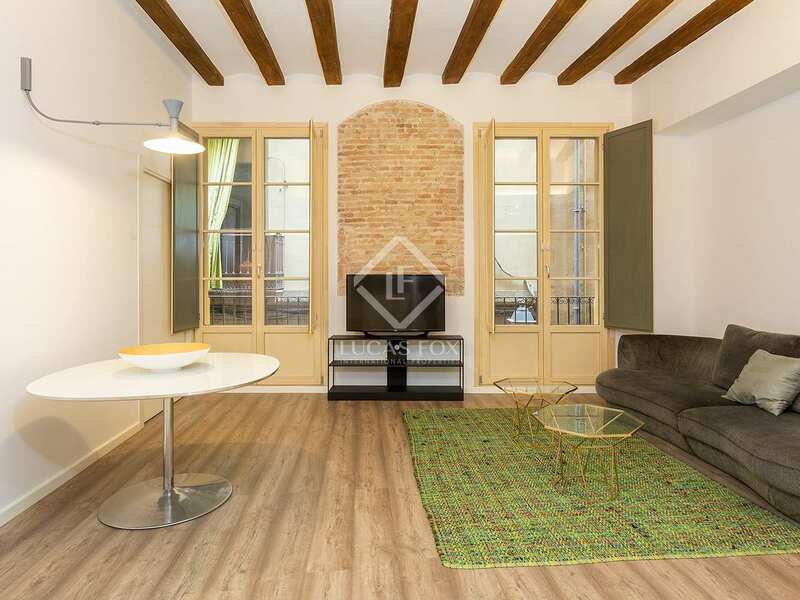 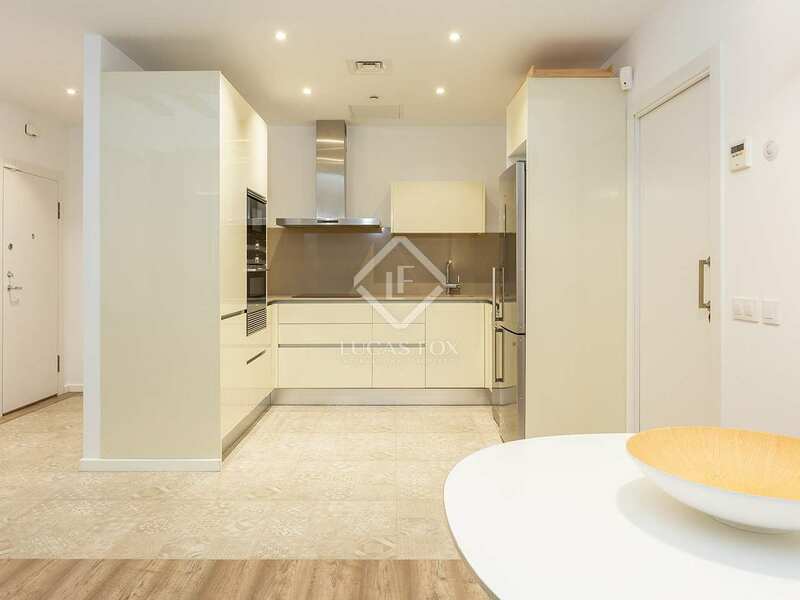 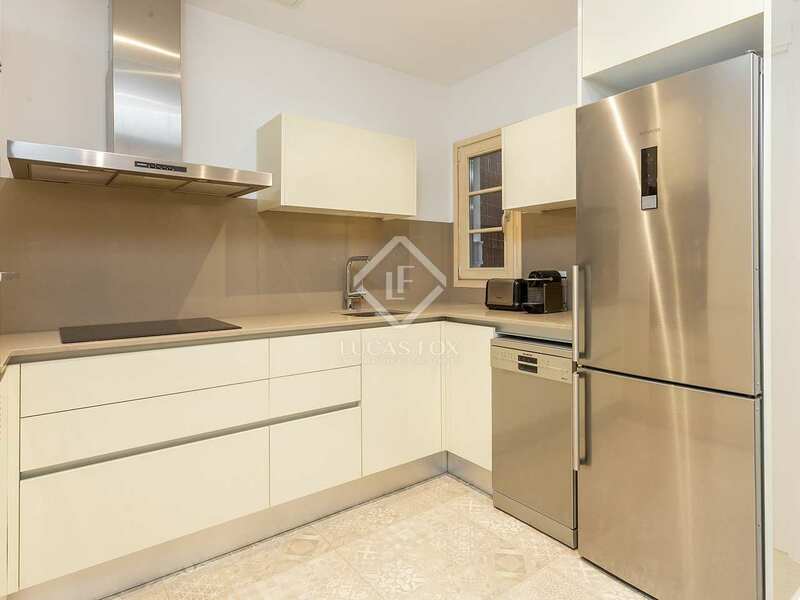 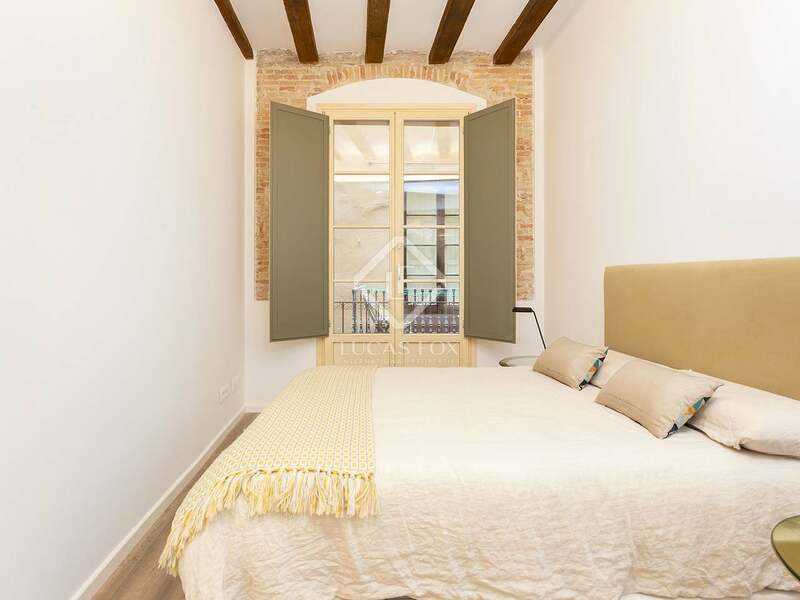 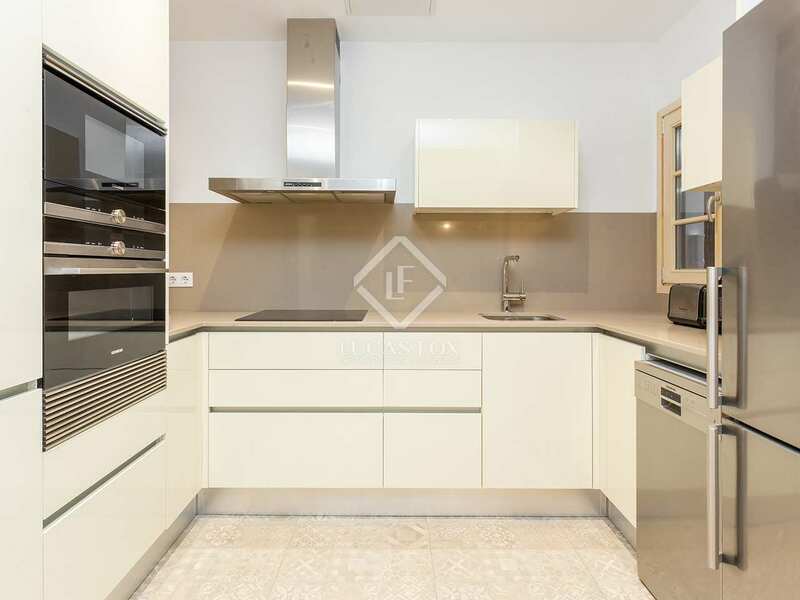 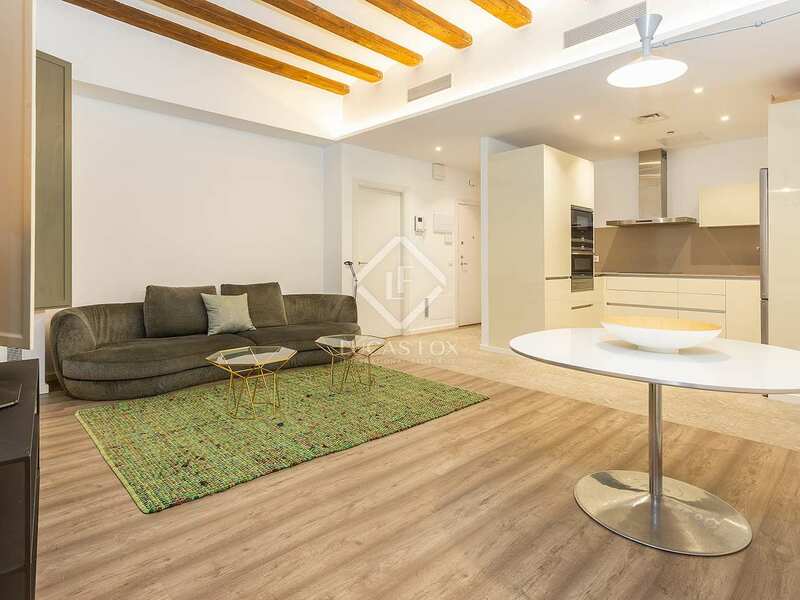 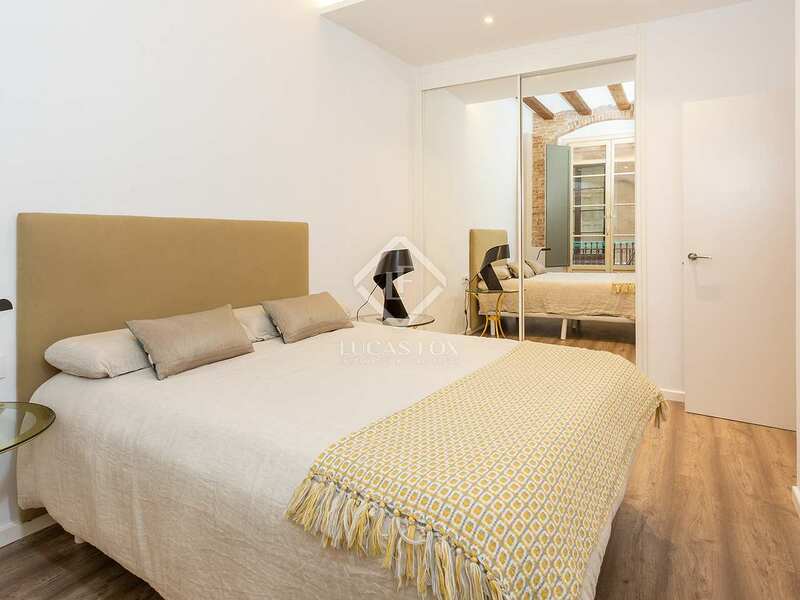 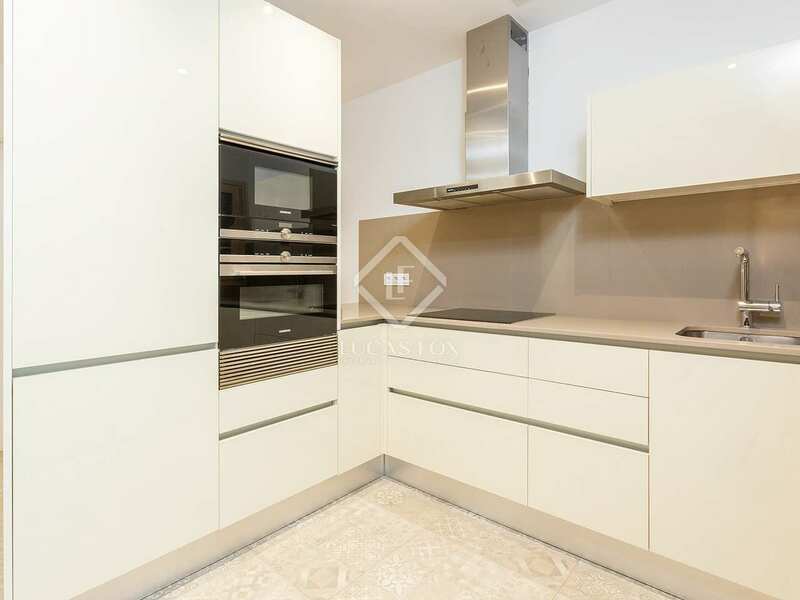 It is located in a beautiful building dating back to the early twentieth century and recently restored with a lift, in El Born, 5 minutes' walk from the beach and Ciutadella Park. 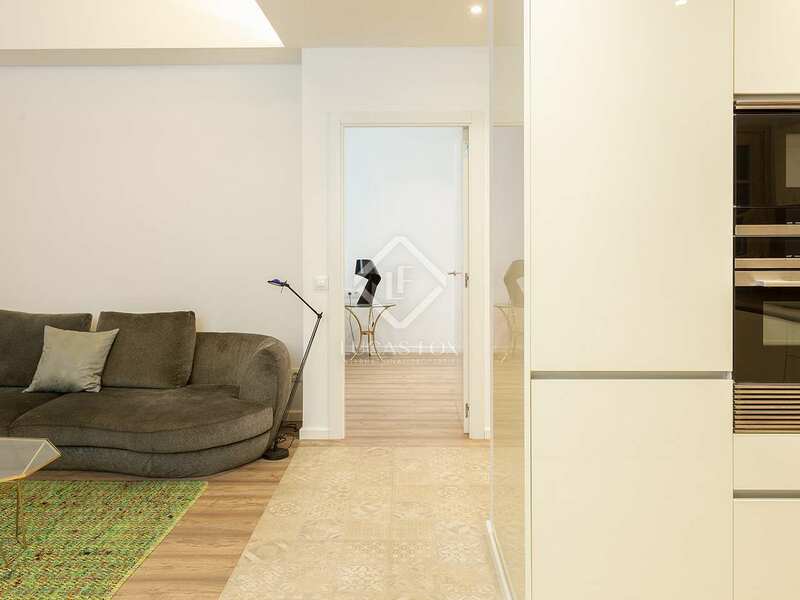 The day area includes a spacious and sunny living room with access to a large balcony that floods the room with natural light and a modern kitchen equipped with high quality appliances by the brand Siemens. 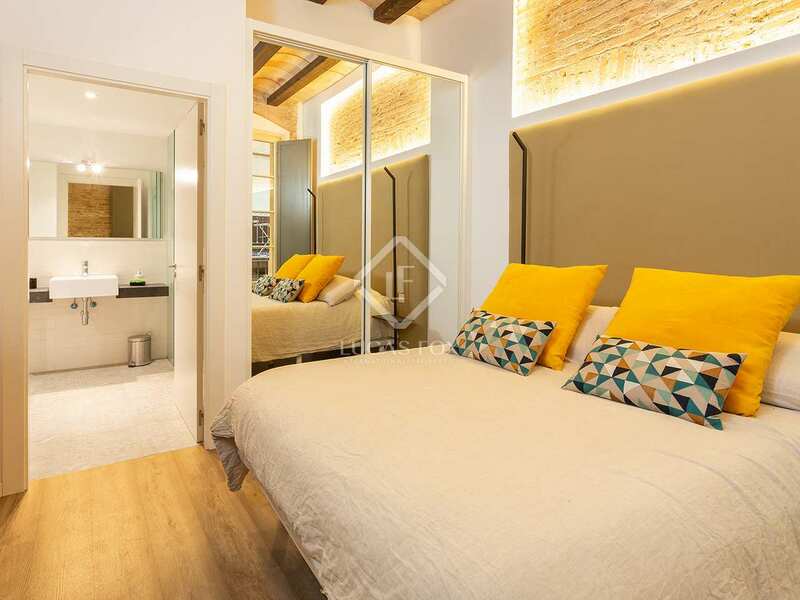 The night area offers 2 exterior-facing double bedrooms with fitted wardrobes and direct street ventilation and a complete bathroom with a shower, cleverly designed to service one of the suite-type rooms while also serving as a guest toilet. 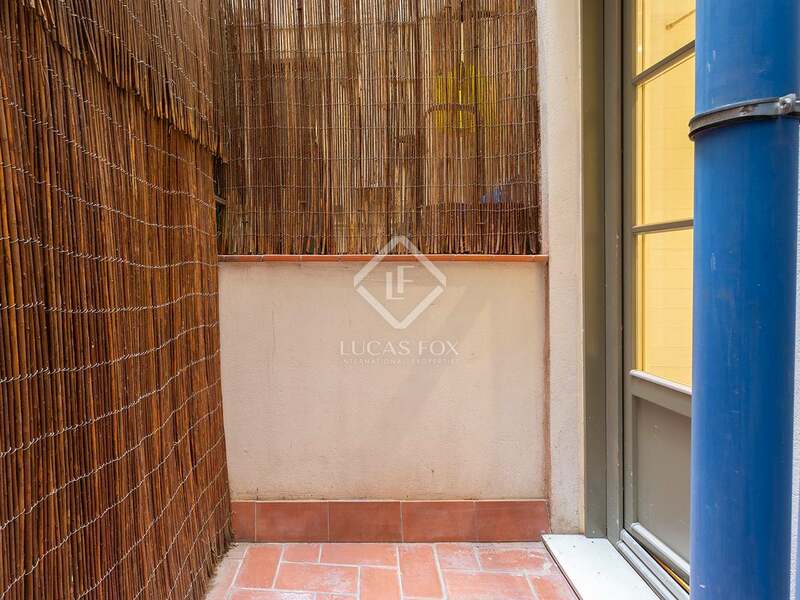 In the outside area there is a small patio with access from the bathroom, which provides light and ventilation. 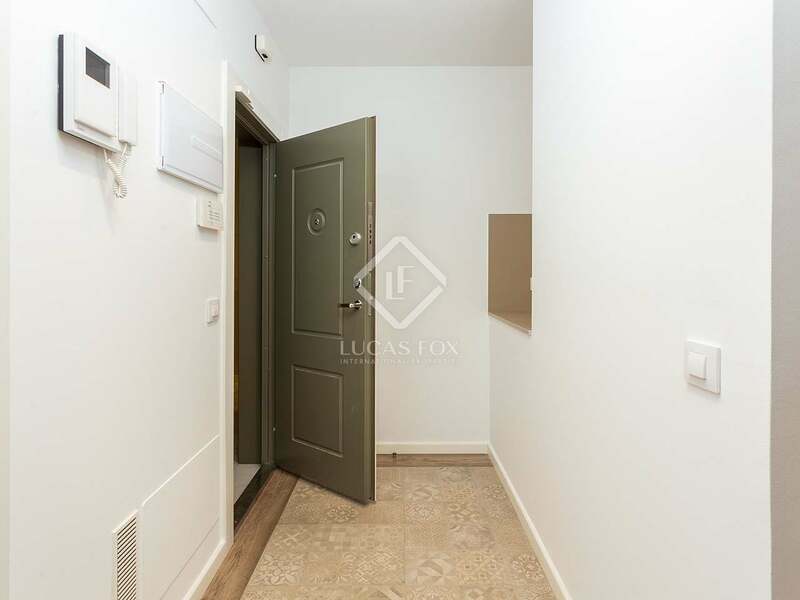 The property is equipped with light wooden floors and has a cold / hot electric air conditioning system, gas heating and double glazed windows to ensure your comfort at any time of the year. 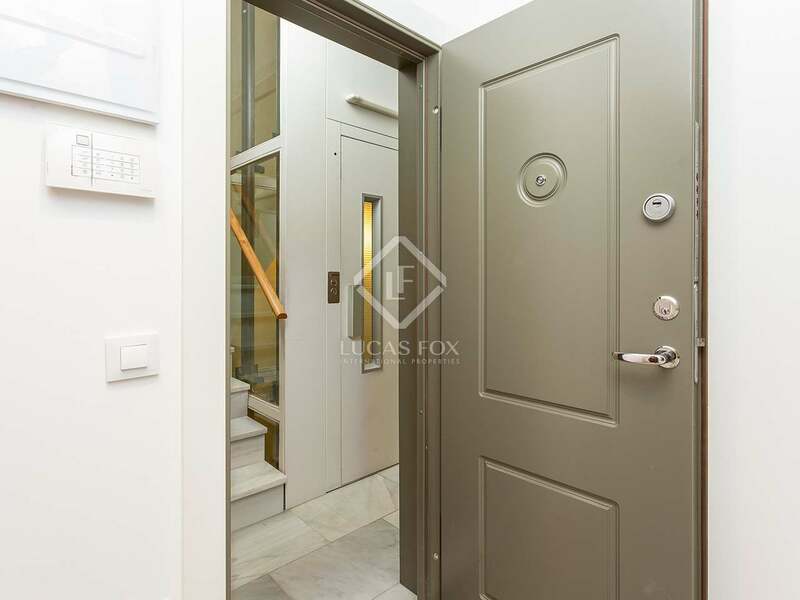 In addition, it includes an alarm system to ensure your peace of mind and that of your loved ones. 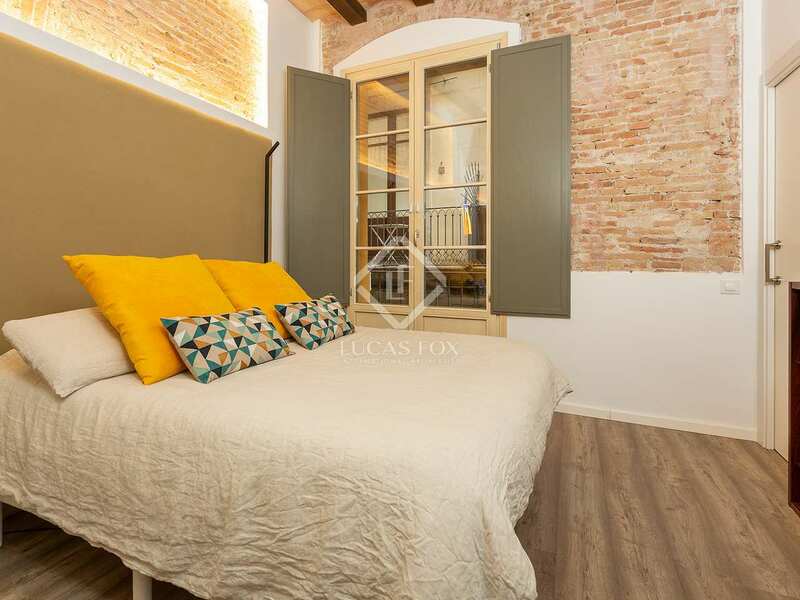 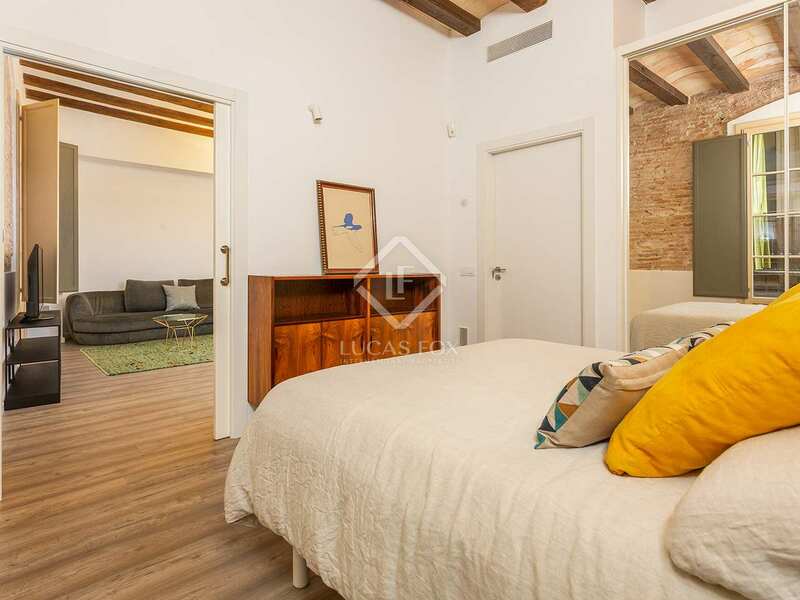 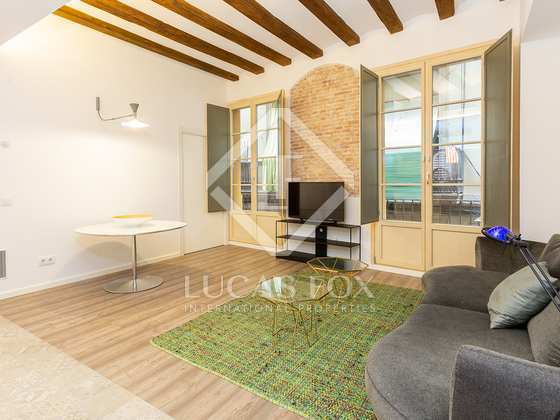 Contact us to visit this wonderful renovated apartment next to the Basilica of Santa Maria del Mar. 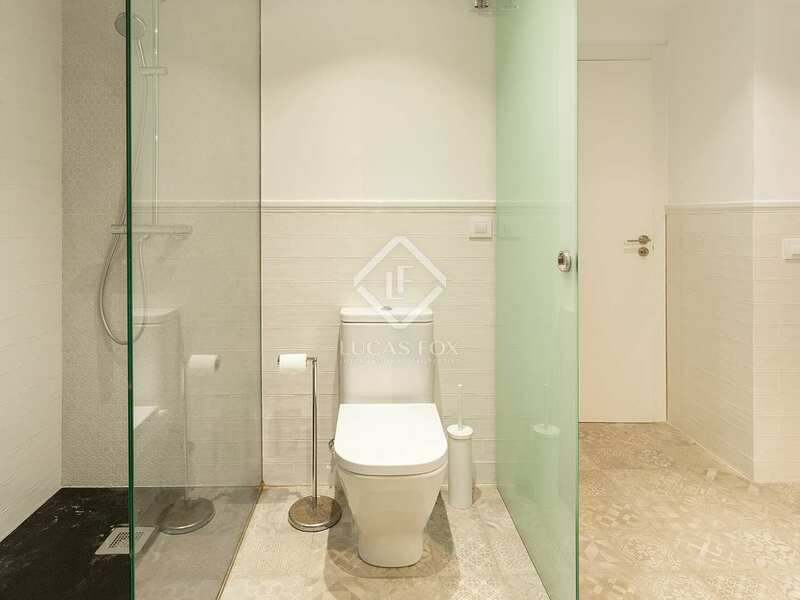 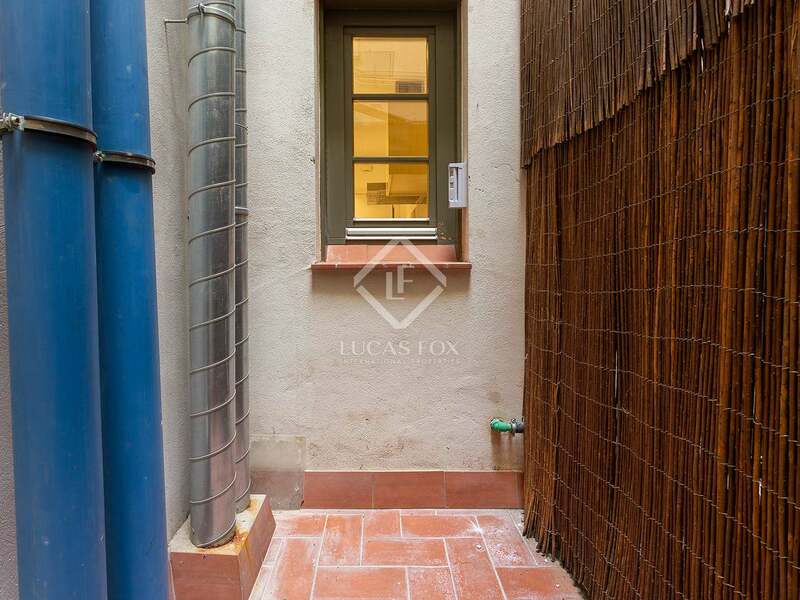 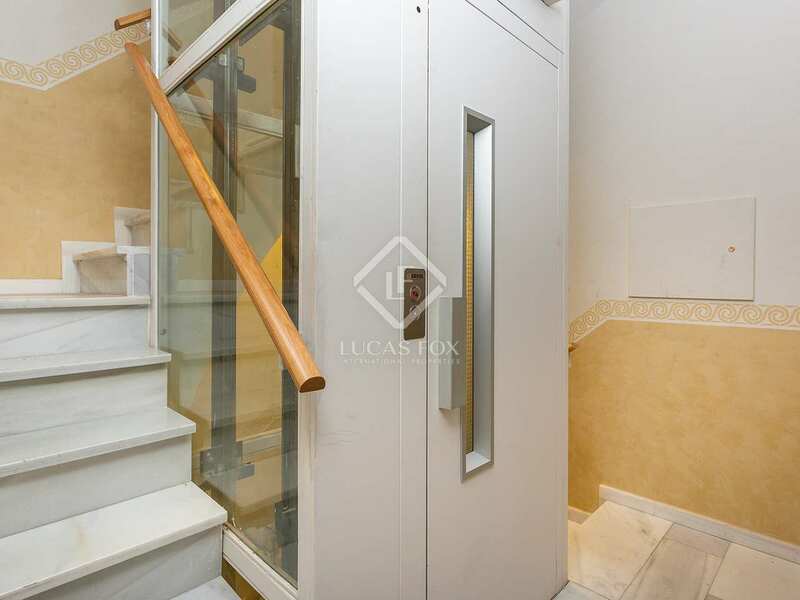 This property is located in El Born, one of the most unique neighbourhoods in Barcelona. 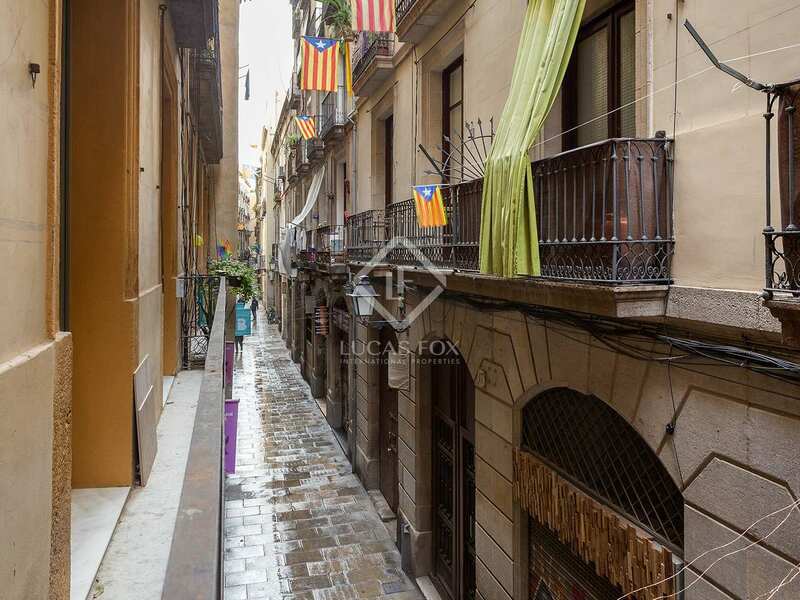 The Born is known for its charming narrow streets full of unique boutiques, exclusive shops, trendy leisure venues and excellent restaurants and bars where you can discover the wonderful Catalan cuisine. 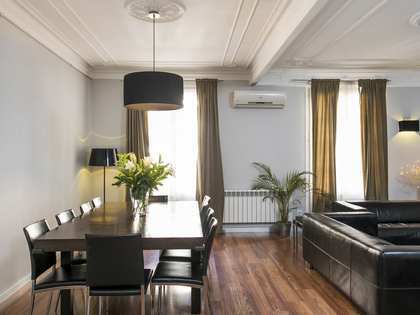 Besides, this area offers all the necessary services for day to day living and enjoys excellent public transport, both bus and metro. It is also close to the Port of Barcelona and Barceloneta beach and 5 minutes' walk from Ciutadella Park. 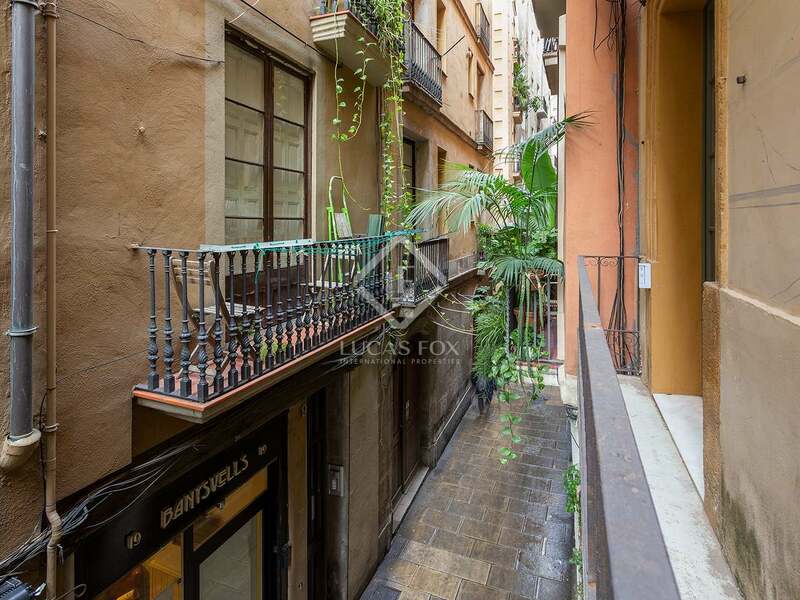 It is also next to the Cathedral, Santa Caterina market, ideal for shopping and enjoying delicious market food.